Big Sister: Mummy, there’s an invisible bucket above your head. Big Sister: There is. When it’s full, you’re happy. When it’s empty, you’re sad. Me: How do you fill your bucket? Big Sister: I don’t know. Do something fun? 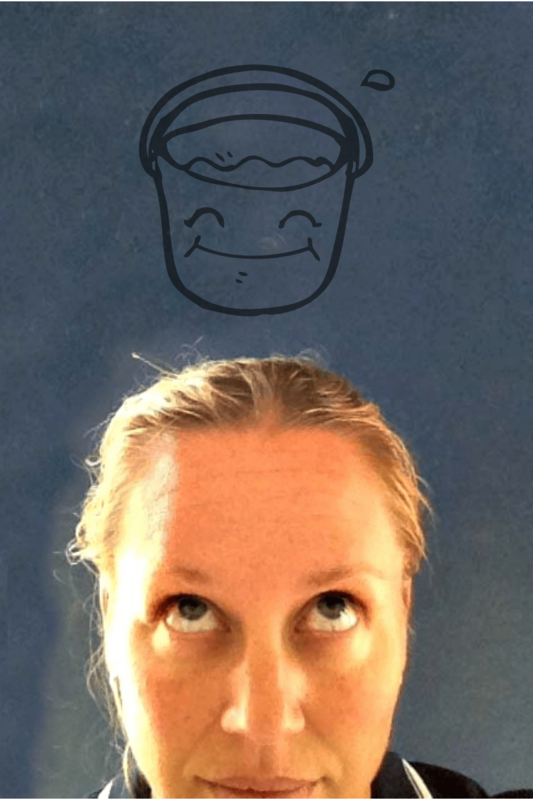 My bucket has been a bit leaky this week, but I’ve had some good news today. Our friends John and Jan welcomed their first grandchild this week; a baby girl who shares David’s birthday. Newborns = instant happiness. You know the other sure-fire bucket filler? Cake! 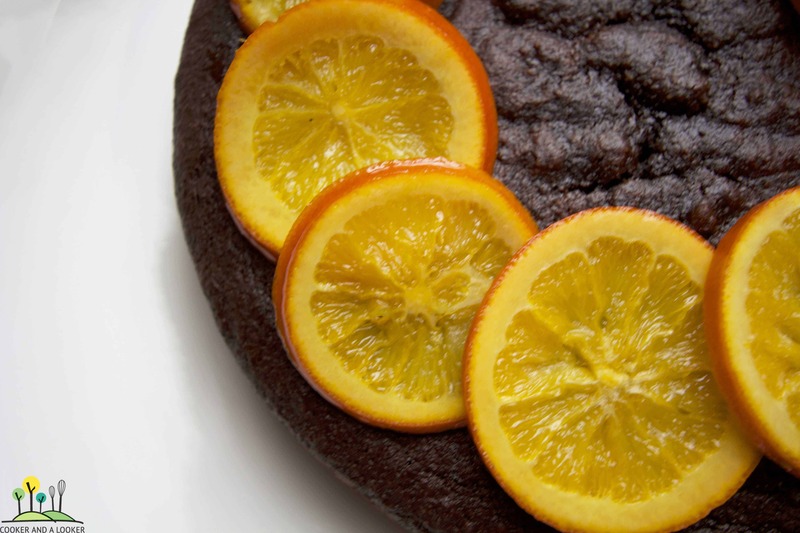 This flourless jaffa cake ticks the gluten free box, but it can also be free from refined sugar if you substitute stevia for the caster sugar. Place the whole oranges into a small saucepan. Cover with cold water and bring to the boil. Simmer for two hours – top up the water as necessary. Cool and drain the oranges, remove the ends, quarter and place into a food processor and blend to an orange pulp. Add the eggs, almonds, sugar, cocoa, baking powder and baking soda to the processor and blitz it until combined. Pour into a greased, lined spring form cake tin (20cm round or thereabouts). Preheat an oven to 180ºC (170ºC fan forced). Make your tin an aluminium foil tent and bake for forty-five minutes. Remove the tents and bake for a further ten to fifteen minutes, until a skewer inserted in the centre of the cake comes out clean. Allow to cool in the pan. 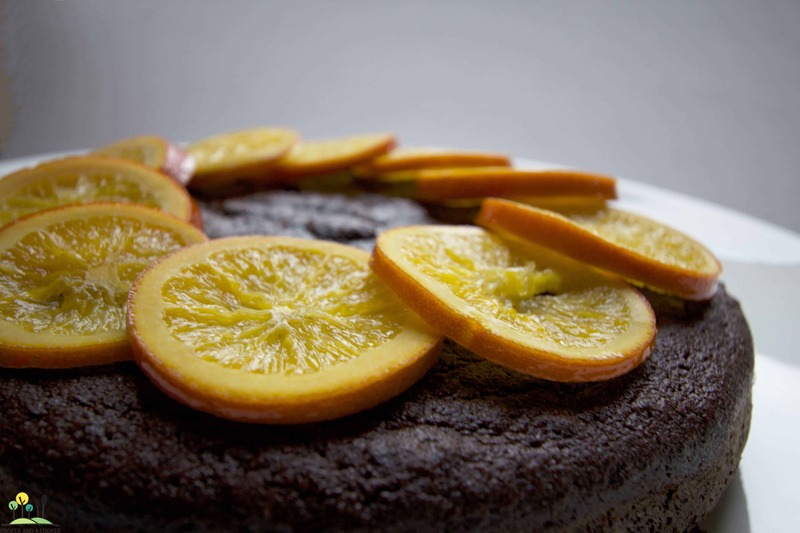 Turn out onto a plate and top with candied orange slices. In a medium saucepan, combine the water and sugar and bring to a boil, stirring as the sugar dissolves. Add the orange slices and cook over moderate heat, turning them occasionally and very gently, until the liquid is reduced to a thin syrup and the orange slices are translucent, about 20 minutes. Reduce the heat and simmer until the syrup is thick and the slices are tender but intact, turning occasionally (be gentle!). Transfer the slices to a rack to cool and keep the syrup for another use (cocktails baby!). I’m always happy when my bucket is full of cocktails and I have a Sochi-inspired number in the works for you this weekend. Congrats to Jan and John! Grandchildren seems like the ultimate parenting achievement – yes, we’ve done it!! My bucket was an ice bucket this weekend too Kirstenandco! Me too Katie. Love my tucker! I’d like to learn to plug a few holes Sonia. Cake is filling my shorts as well as my bucket! jaffa is my bff! I wanna a slice of this sooo badly right now – looks amazing.